Nice one semi-detached house fully furnished with private parking. 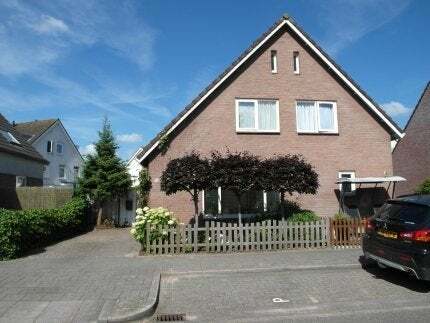 This property is centrally located in the charming village Kortenhoef with the front view of the 's-Graveland Vaart. In the immediate vicinity are several primary schools and a range of shops (including supermarket). Entrance hall, stairs to 1st floor, toilet, spacious kitchen with dining table and appliances including dishwasher, washer, dryer, microwave, sliding doors to the private backyard. Bright living room with laminate flooring and other furnishings. Television and stereo system is fitted. Very spacious bedroom at the front of the house with induction to the loft. Bathroom with shower and sink. Second bedroom at the rear of the house with a double bed. The garden features a new lounge and a barn.